Here’s to convince you more on why I mentioned on my previous post that Venice Beach is a must for Los Angeles visitors. 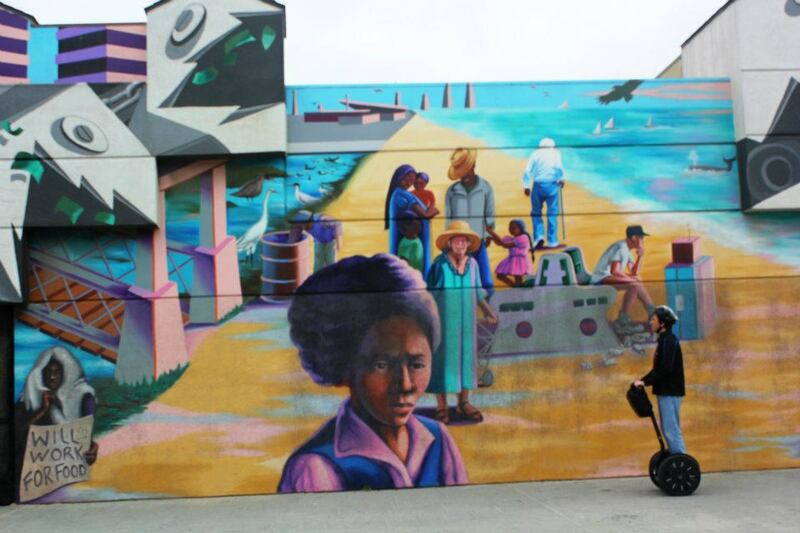 Other than the variety of people, the beach itself, the sports and fitness areas, sunglasses and, of course, the skaters and other wheelers, Venice Beach Broadwalk appears to be an outdoor exhibit museum street-lined of of graffiti and vendors selling arts and crafts. It is everywhere. From the parking lot, all throughout the broadwalk stretch so keep your eyes (and camera lens) open. Keep in mind though, the vendors don’t like their handiwork to be photographed. As soon as you walk in the center, the beach welcomes you with this exhibit . There’s a sign indicating that spray painting on the area has to be authorized before doing so. Sadly, the rules are meant to be broken. As you can see from the pictures above, there are vandalized scribblings ruining the first prints. The originals are still see-able, at least. I love how these wheelers just walk in to my camera’s 180 view. They know I have my camera with the strap around my neck and with the size so visible. The guy above gingerly segway his way in front of my camera view. I love the effect it makes. 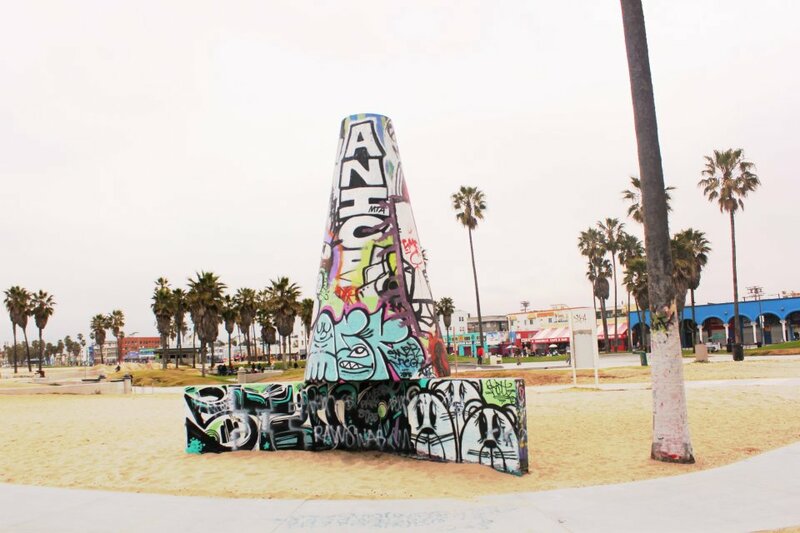 A post on Venice Beach is incomplete without the skaters. None of the drawings is really obscene, derogatory, provoking or the activist-type of expressions. I like it that way. Public art doesn’t really have to be so expressive to be impressive. I spotted this one who was patching some defiled or unfinished portions. Can anybody enlighten me with these eyes scattered around the area? The talented vendors will sure have you amazed and tempted. If you have doughs to spare, these creative displays are at least cheaper. 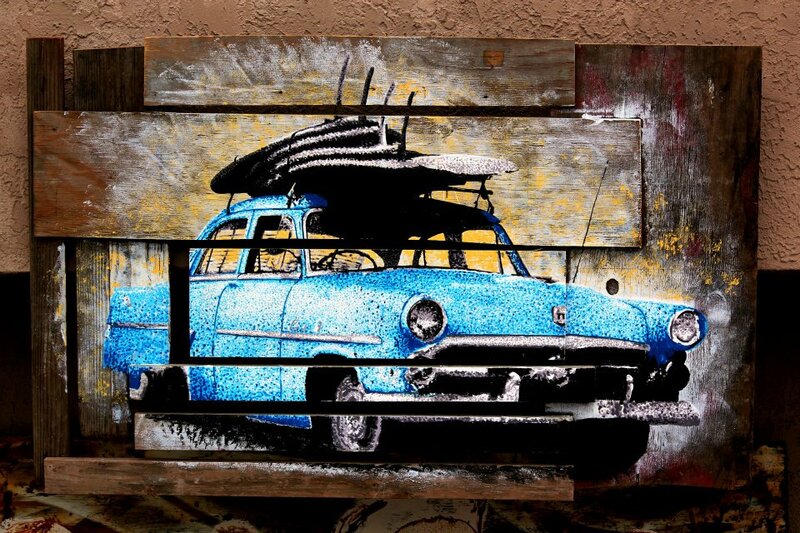 One of the many things I love about California is that there truly are plentiful artists whereever region you go to. 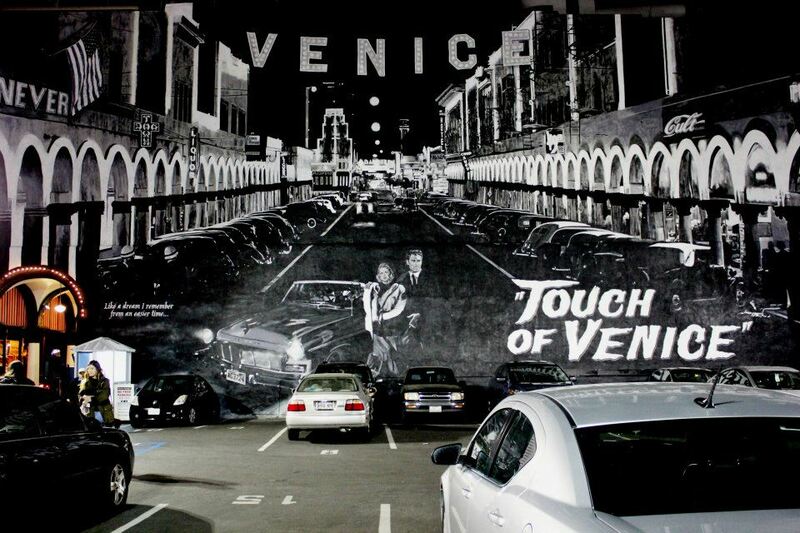 Venice Beach certainly testified to that. I’ll leave you with this abstruse humdinger. Quite a thinker, isn’t it? Scroll up and keep your eyes peeled. …Louise. See and read it for yourself. She talked about urban art very articulately. I’m sure that afterwards, you can find yourself hitting that Follow button to her blog, The Sacred Cave. There is some really interesting art here. And I love all of the bright colors. 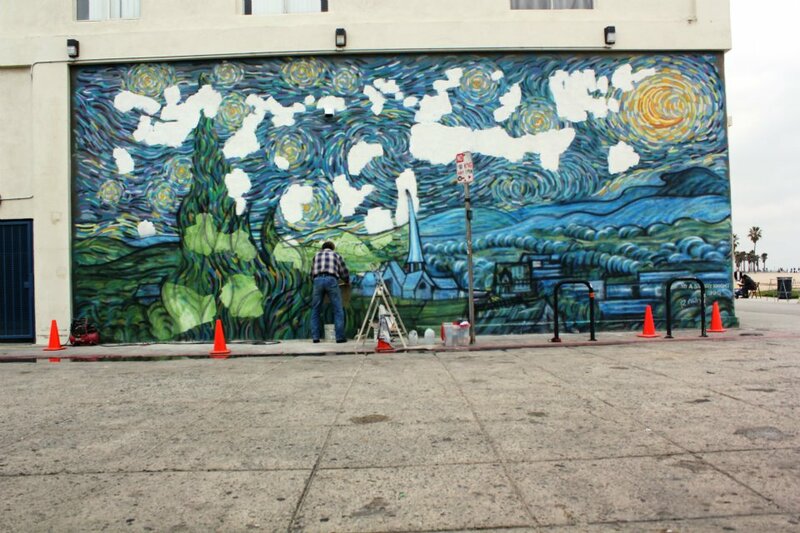 very artistic mural works!! love it! 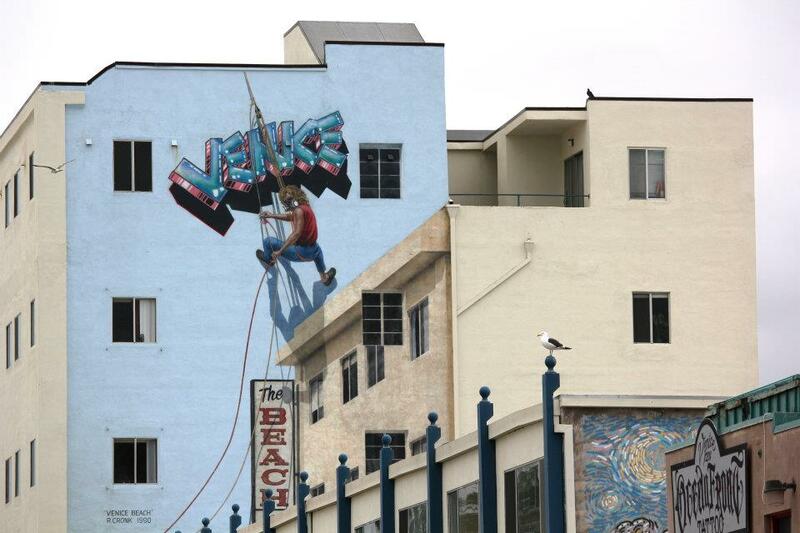 I love the pic of the man climbing up the blue building – so clever. The people who do this are simply amazing and talented artists. These are well shot, especially the top one in which you didn’t try to eliminate the cars and the parking lot as I’ve seen others try to do. I like your reaction to the guy on the Segway. Whenever I shoot grafitti, I always try to include compositional elements that reflect the environment that the grafitti is in; tall grass, trees, a dog or people present, parked cars, wreckage, heavy construction equipment, etc. Interesting idea for a post. 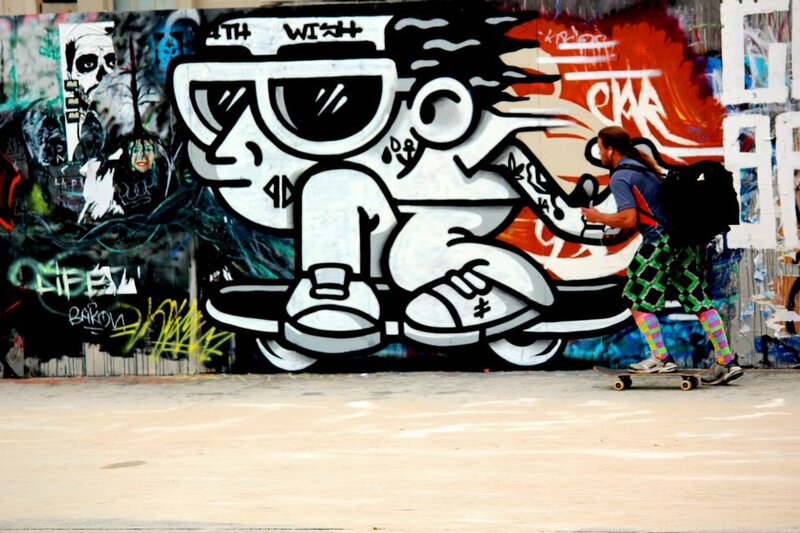 Love street art. This is fantastic…love them all. What amazing art. 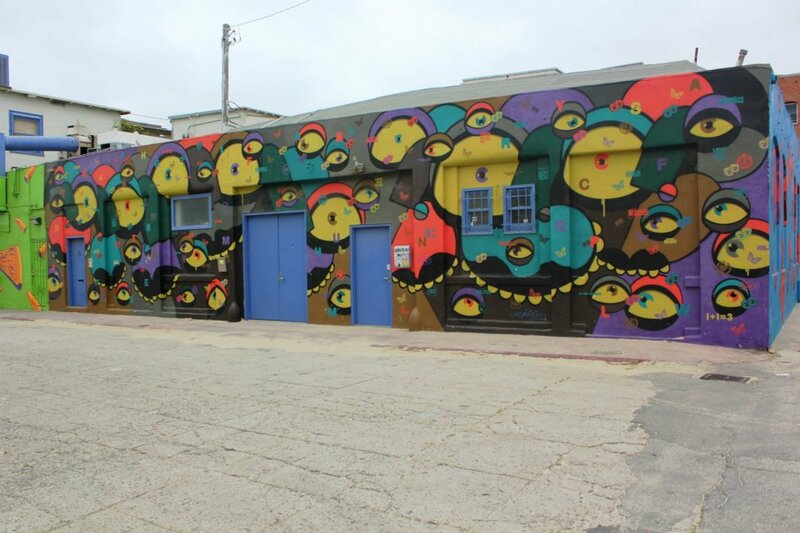 I wonder if the City of Venice Beach sees it as street art or if they just don’t have the budget to deal with graffiti right now. I do know there had been many scribblings throughout the city even from before. I can easily assume that many have been erased. I think they centralized it in Venice Beach Broadwalk to relive those. 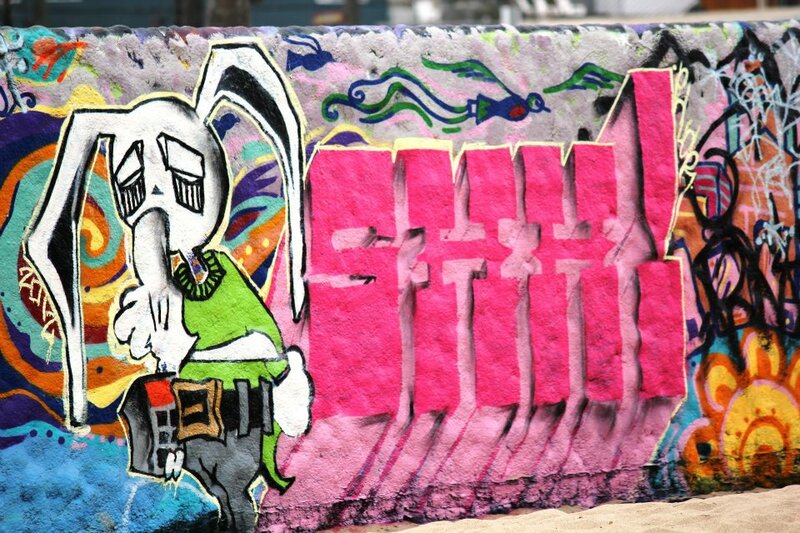 So, street art, graffiti and vandalism is not something that they just cooked up later but has been kind of traditional. Even the movie I mentioned in Skaters in Venice attest to that. That’s a great souvenir of the classic car. And that Segway rider made me chuckle. 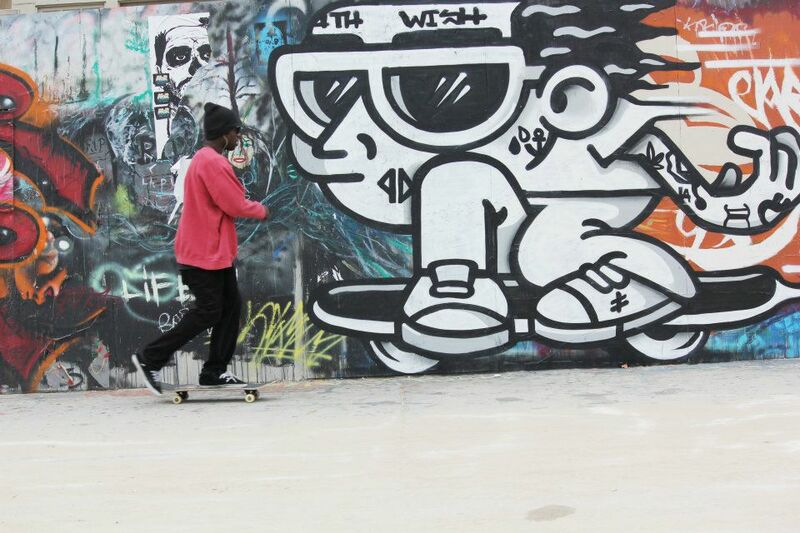 He looks so out of place with the skaters and the street art. Don’t be laughing at him. He added volume to my subject. hehe. He makes me chuckle too. Fantastic street art! I love the painting of the person climbing on the wall. It looks so life like until you look closer. 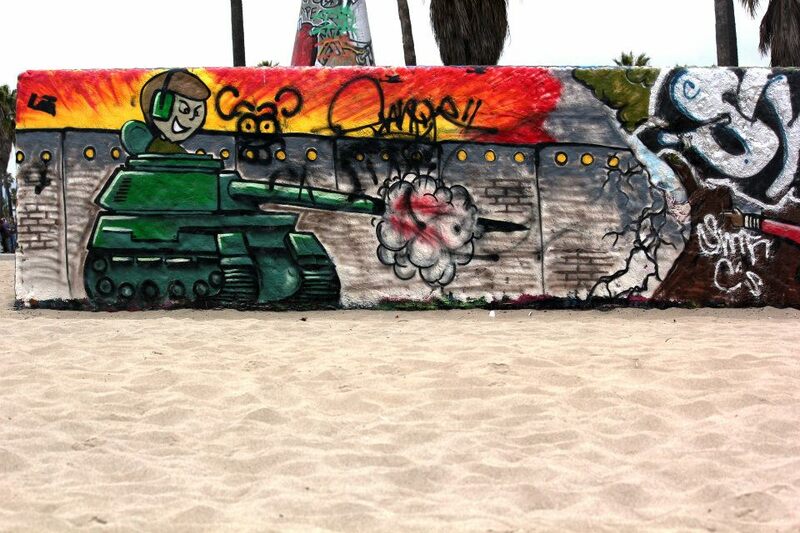 My daughter paints portraits on Venice Beach in her spare time. She stays inspired with all the art around. Thanks for sharing this post.